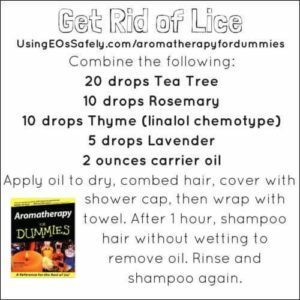 ** Please Note: The “Get Rid of Lice” recipe is not child safe due to the Rosemary. 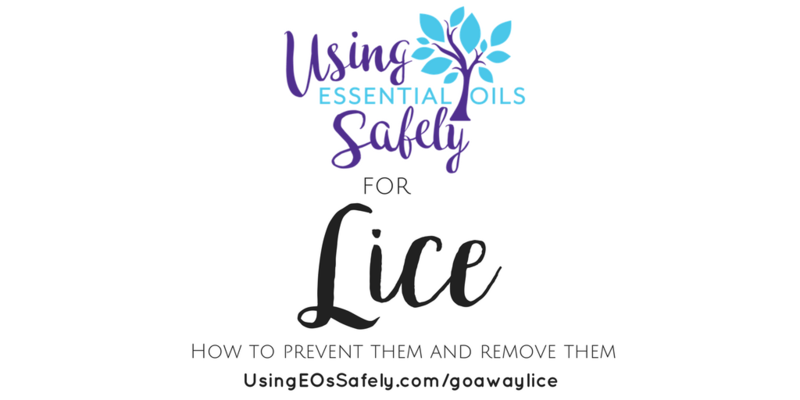 The cineole chemotype of Rosemary is what is going to make this effective to get rid of lice, but we suggest not using it until after the age of 10 due to the fact that oils high in 1,8-cineole have been known to cause respiratory issues in young children. 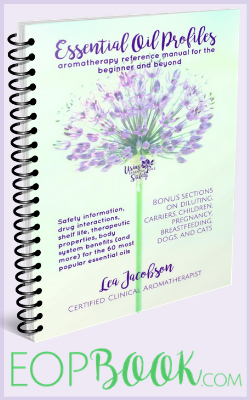 If you have a child under the age of 10, we suggest subbing the Rosemary with Fragonia which does contain 1,8-cineole, but at a lower level so it is child safe. * An investigation and comparison of the bioactivity of selected essential oils on human lice and house dust mites. This shows Tea Tree works in vitro. 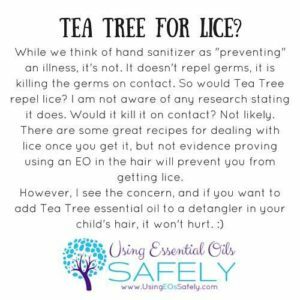 We know Tea Tree works well once the lice is in your hair, but I was trying to make the distinction between actually repelling vs. killing once they are in the hair.